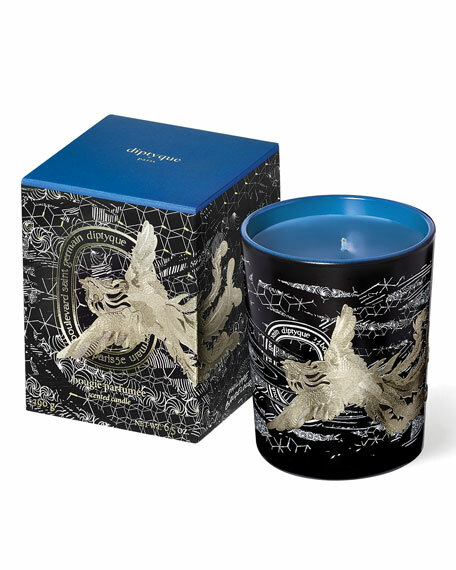 The enigmatic Phoenix who is reborn from his ashes inspired the blue candle, the color of immortality. Residing in a fragrant nest covered with leaves and laurels, with bits of cinnamon and Myrrh, beautifully compared to the tears of poets. 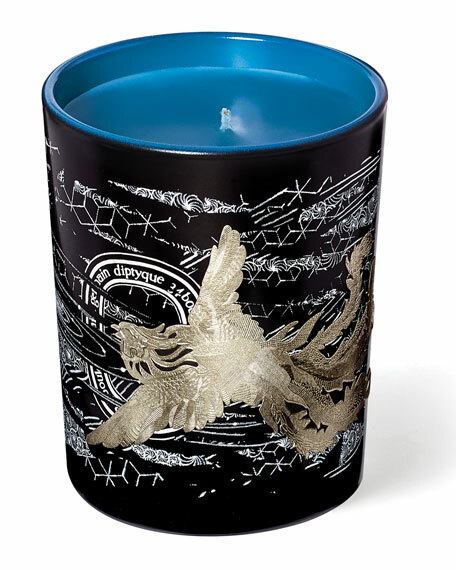 This mythical creature inspired a perfume of incense and Myrrh enhanced by a warm, burning cinnamon. For in-store inquiries, use sku #2342427.